This information session provides a brief introduction to the Conference Financial Wellbeing Service. Please take the time to go through all of the content before you attend the training session, as this helps to provide you with much of the background information that enables us to keep the face-to-face training sessions as brief as possible. Please make a note of any questions that you might have from this session so that you can take them to your training. You should set aside approximately 15-20 minutes to view all of the content. To access further courses on the Learning Path, close the current window once you have completed the content. 1. CLIENT CENTERED – a service that will put the person we assist at the centre and work in partnership with individual to identify their needs and support them to achieve the best possible outcome. 2. CONSISTENCY – a framework underpinned by agreed principles, task descriptions, and the required minimum competencies that provide a consistent experience for the person receiving assistance from the Society in NSW. 3. CHOICE – Members and volunteers are able to choose in which capacity they wish to contribute to the Conference Financial Wellbeing service. 4. COMMUNITY – the model should foster a culture of community and collaboration where members, volunteers and staff support each other in achieving best possible outcomes for the people we assist. 5. INTEGRATION – the model must complement other Society services, wherever possible integrate with other Society services and external organisations to support the client to achieve the best possible outcome. 6. 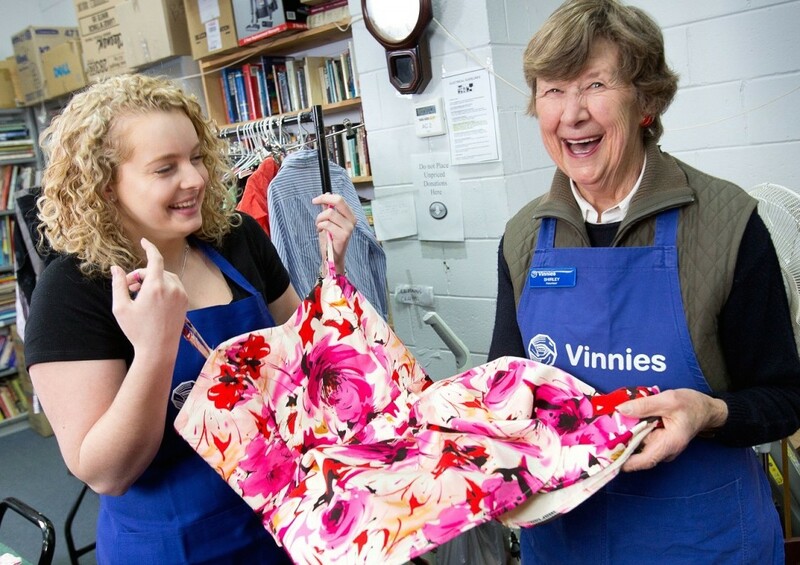 SUPPORT – the Society will provide training to those who wish to get the necessary skills to take on different tasks. 7. TRANSPARENCY – the model should ensure that the Society is better able to articulate and measure the impact of the work against a pre-agreed measurement framework. The Conference Financial Wellbeing framework outlines six key tasks that must be completed when assisting a person in need. The framework is illustrated below. As a Member and Volunteer based organisation it is important that all Members and Volunteers clearly understand what they can expect from the Society and in turn what the Society can expect from them while undertaking Society activities. The Charter details what these rights and responsibilities are, many of which have been custom and practice for years but not previously written down. The Charter is also part of the Society’s response to one of the key strategic goals of ‘Developing our Membership’ in our Strategic Plan. The Client Charter Policy is the overarching policy for ensuring the rights and responsibilities of the people we assist are clearly articulated.This policy aims to ensure that a charter of rights and responsibilities is available for clients and is used appropriately within the Society. Used to address enquiries on the rights and responsibilities of clients accessing Society services. Select the answer to the correct statement regarding the seven principles of Conference Financial Wellbeing Service. A service that provides Members and volunteers with client-centredconsistencychoicecommunityintergrationsupporttransparency in which capacity they wish to contribute to the Conference Financial Wellbeing service. 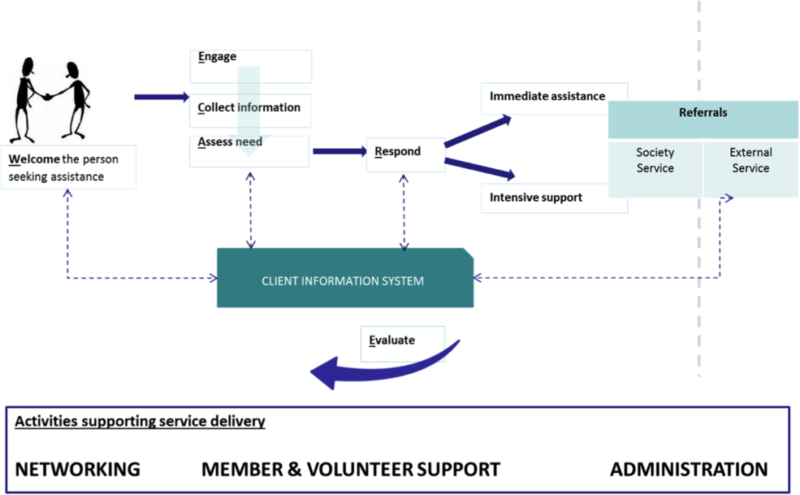 The model must complement other Society services, and wherever possible client-centredconsistencychoicecommunityintergrationsupporttransparency with other Society services and external organisations to support the client to achieve the best possible outcome. A client-centredconsistencychoicecommunityintergrationsupporttransparency service that will put the person we assist at the centre and work in partnership with individual to identify their needs and support them to achieve the best possible outcome. The model should have client-centredconsistencychoicecommunityintergrationsupporttransparency to ensure that the Society is better able to articulate and measure the impact of the work against a pre-agreed measurement framework. The Society will client-centredconsistencychoicecommunityintergrationsupporttransparency members and volunteers and provide training to those who wish to get the necessary skills to take on different tasks. A framework with the client-centredconsistencychoicecommunityintergrationsupporttransparency underpinned by agreed principles, task descriptions, and the required minimum competencies that provide a consistent experience for the person receiving assistance from the Society in NSW. How would you explain the WE CARE framework to a person we assist? Name three rights a person we assist has. Name three responsibilities a person we assist has.